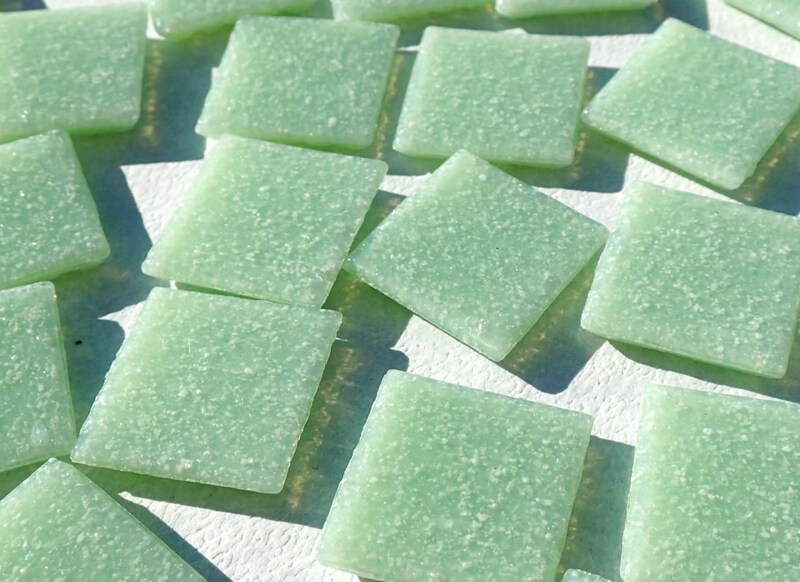 These green tiles are perfect for mosaic projects. 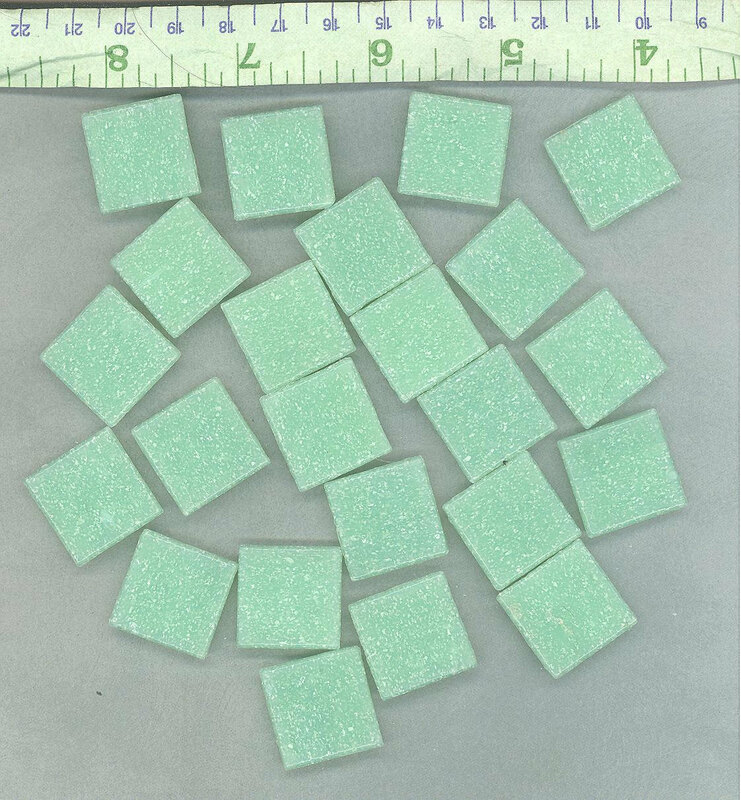 The opaque squares are a deep jade green, with the traditional mottled apprearance. 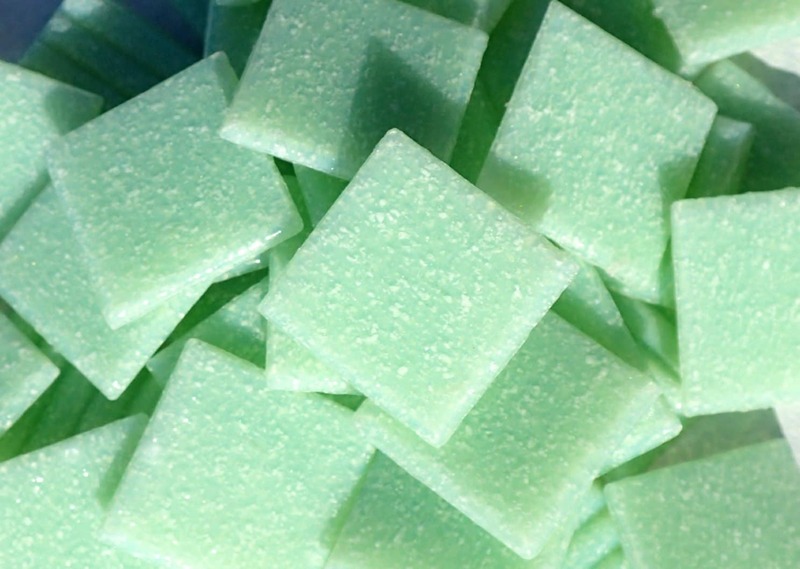 (They also look a bit like spearmint gum.) 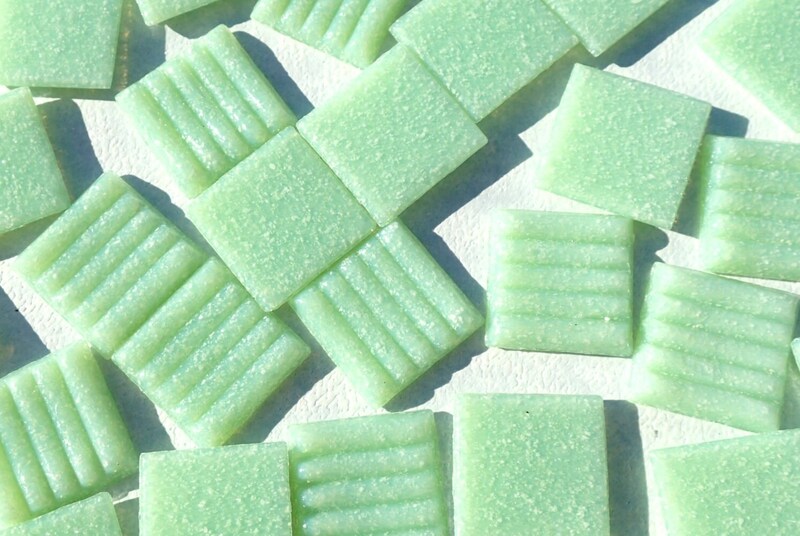 They are 3/4" in size, and can be used whole, or nipped with tile nippers. The backs are textured while the fronts are smooth. 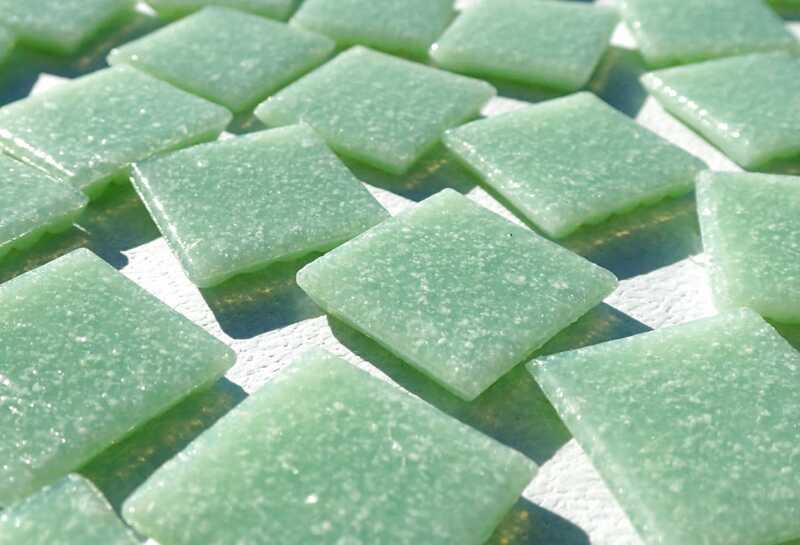 A half pound of these tiles is approximately 78 tiles.